Our largest event space, the Wayne Ballroom is the perfect venue for groups up to 600 people. 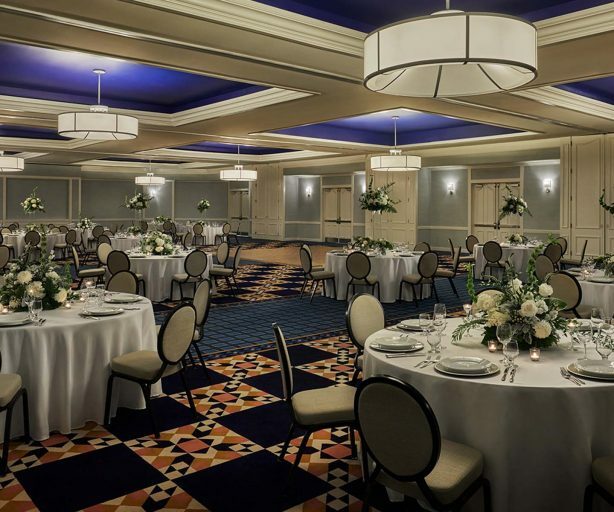 Located on the hotel’s lower level, this ballroom is equipped with a private pre-function space to welcome guests and is appointed with elegant finishes. It’s an ideal setting for your next major soirée or business summit. Benson Room is our largest breakout room, making it the ideal venue for medium-sized groups who want an intimate and inviting atmosphere. The space offers the option of a pre-function room and can accommodate up to 130 guests. 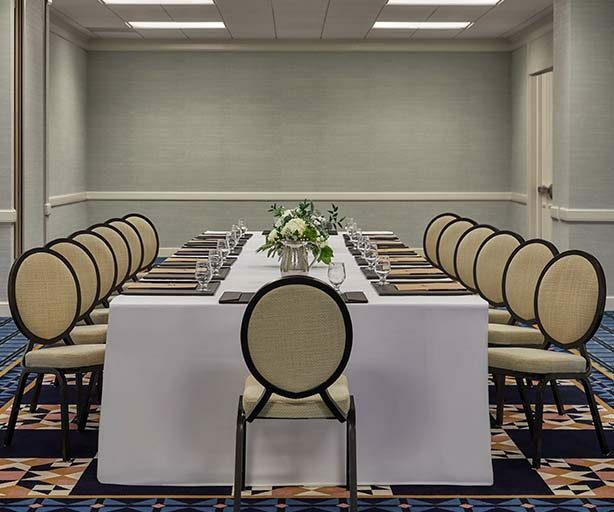 For small to medium groups who need more space to entertain than a boardroom but don’t need a full ballroom, our Hoak Room is a great setting. Perfect for business luncheons and meetings, the room comes equipped with a pull-down screen and state-of-the-art technology. 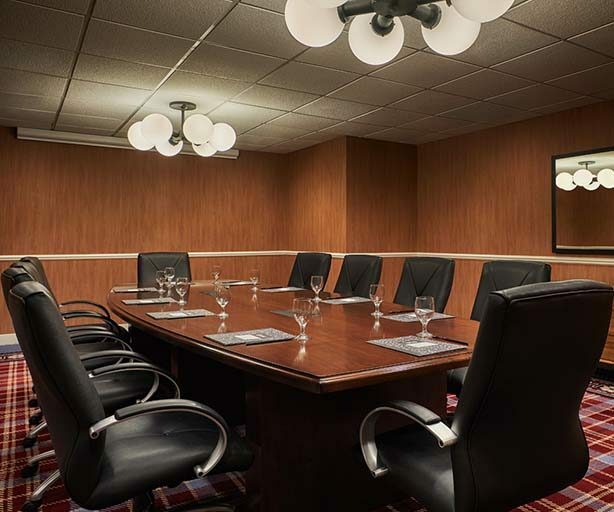 Our boardroom is the ideal space to host business gatherings and entertain clients. 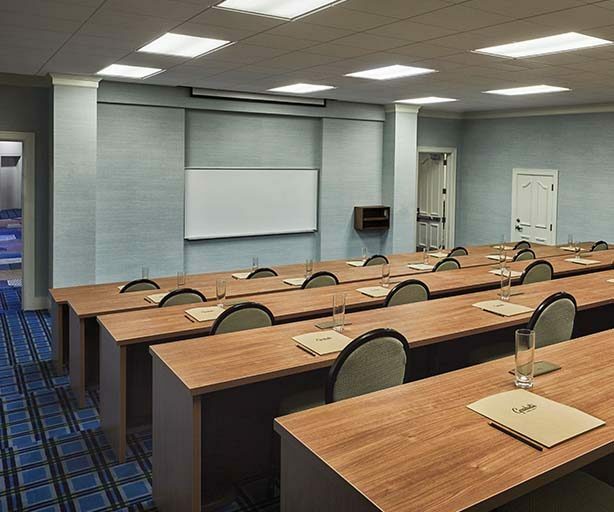 Accommodating up to 24 people, this room is fully equipped with the latest technology and a boardroom table to ensure your presentation or meeting stays on point.